We offer 3 different Tiers of Wedding Coverage........ Choice, Deluxe and Premium! See the information below and then email us for available dates. We can customize your package! Each Package gets it's own special pricing for guests in the On-Line Ordering section, ask about this and the discounts you will receive!..... Earn Credits for your own Free Wedding Portraits! The wedding coverage for this package is designed with Professional Candids in mind. 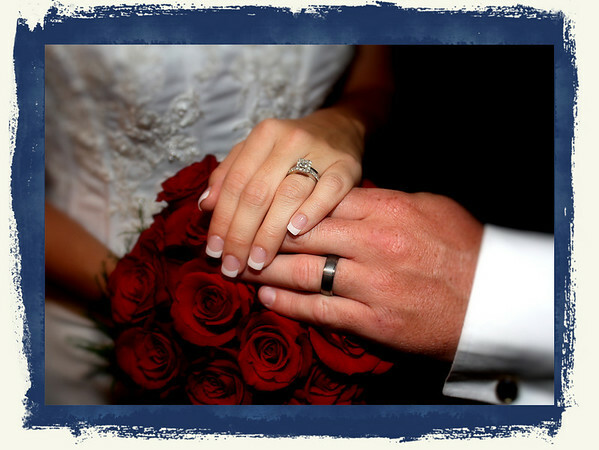 We begin Photography about an hour before the ceremony and allow two hours for this service. This time most always covers the Wedding and reception. We use Professional On-Camera Flash for candids and also use available light for special editions. We take up to 200 medium resolution digital images and create a Web Site where you and your guests may visit and purchase on the Internet. Your Web Site will be available to view for 1 month and purchases may be made through our On-Line lab with choice pricing. We will furnish a B&W digital image to the newspaper that you choose. Photographs in print are not included with this package, but may be ordered with Choice pricing. Extra coverage and products may be purchased................ SCROLL DOWN FOR MORE PACKAGES! The Deluxe package is designed to take the pressure off of the Wedding Couple and allows us to capture this occasion from Start to Finish. We begin with A Professional Engagement Portrait to make that special anouncement. We leave it up to you, a Studio Portrait or something outdoors that you want to remember forever. We will furnish this digital image to the newspaper of your choice. Also we create an 11x14 Portrait of the session that will be matted and made available at your wedding or reception for all of your guests to view and sign. We feel it is important to be at your rehearsal and also at the wedding at least two hours before it starts so that we may be able to photograph those special moments of everyone getting ready. We use both medium and high resolution digital media and on-camera Professional Flash. We also provide photography for the reception within limits. You will be able to view up to 300 digital images on a Web Site that we will create for you and choose 100 of those to put in an album. Your Private or Public web site will have Premium pricing and images may be purchased through our On-Line Lab.....This package is described in more detail in the next section. Scroll Down and see more of this Deluxe Package! 1 Engagement Session with Newspaper Photo Image. 1- Matted 11x14 for guest signing. A Preview Album of the wedding photographs with 100 Prints of your choice. We realize that many of our clients want our full service and media package. This is our most versatile package and we take much pride in developing and creating the look that you want. This service includes everything that is in the Deluxe service and much more. The photography service and time involved at the wedding is included and we also photograph everything with High Resolution media and all of the Planned Group Portraits are photographed under Studio Lighting for the best of results. We Photograph several sessions before the wedding that include the Bride and Groom in different locations and work with you on developing a Professional Media Show to present to your guests at the reception. This LoveStory will focus on the two of you as you grew up and then met and prepared for the Special day. You will receive three of these in DVD format. We attempt to photograph your wedding ceremony from two different angles and we use Computerized Imagery to develop spectacular images. You can expect over 400 images to view on your Custom Web Gallery! More than this you also receive three identical Albums with 200 preview size portraits, one for each side of the family. You will receive a 1 Year Web Gallery with special Premium pricing that reflects a discount for you and your guests to order from. From the Bridal Session, we will print 3-11x14 size prints and mount them for show at your reception. 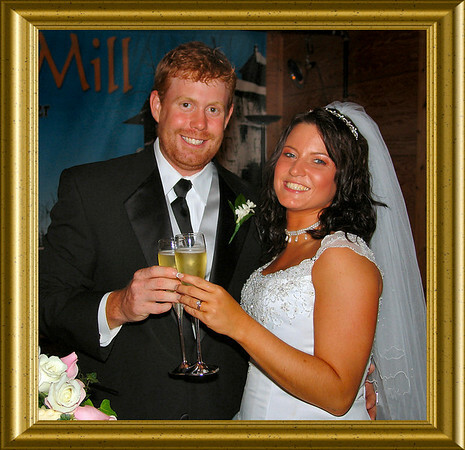 You will choose and receive 10-8x10 portraits with our special effects imagery and 1-11x14 mounted portrait of the wedding. We will also print 100 wallet size portraits of your choice that you may include in your Thank You cards. We finalize with another Wedding Day Motion Picture DVD that will include the special memories of the day. This Motion Picture Production is usually about 15 minutes long and includes your favorite music. You receive three of these so that you may give one to each side of the family as a special gift.